Viking Books for Young Readers, 9780670784936, 192pp. Gordon McAlpine (www.gordonmcalpine.net) is the author of two novels for adults (The Persistence of Memory and Joy in Mudville), the YA/adult crossover novel Mystery Box (which imagines the "real life" of Franklin Dixon and Carolyn Keene, the creators of the Hardy Boys and Nancy Drew! ),and -- of course -- the first Misadventure of Edgar and Allan Poe, The Tell-Tale Start. He lives with his wife in Southern California. Sam Zuppardi (www.samzuppardi.com) is the illustrator of The Tell-Tale Start. His first picture book, The Nowhere Box, has just been released. He lives in York, England. 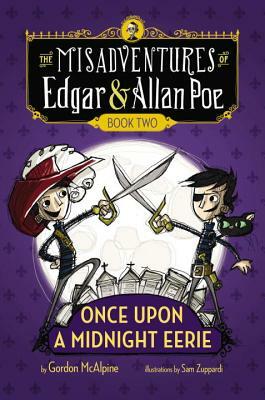 Praise for Edgar & Allan Poe!